LONDON: PML-N president and opposition leader in National Assembly (NA) Shahbaz Sharif along with his mother and spouse arrived in London on Wednesday. He is likely to stay here for ten days during which he will have his medical check-up and consultation with physicians. According to media reports Shahbaz Sharif flown to London by a private airlines QR-621. He had obtained his own and his wife Nusrat Shahbaz multiple visa for UK and he had also obtained visas in respect of his mother and 4 servants. 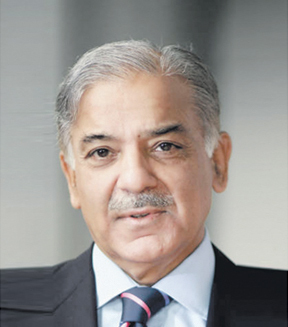 The federal government had removed Shehbaz from the no-fly list on April 4. According to sources, Shahbaz Sharif’s visit is stated very significant as he will hold consultations with his nephews and sons of former Prime Minister Nawaz Sharif. Later’s medical condition is reportedly not satisfactory and he has been released from Kot Lakhpat Jail for six weeks for treatment. Shahbaz Sharif decided to travel to Britain after his name was removed from the Exit Control List (ECL) on the Lahore High Court’s orders two weeks prior. In back-to-back tweets, Sharif said that he will take a “quick visit to London” and plans on returning soon. “Because of Judicial grace exercised by Honourable courts, I am now on bail and my name has been taken off the ECL. In these circumstances, I am going to take a quick visit to London to see my grandchildren and go through my own medical check up and return soon IA!” he wrote. Sharif said that owing to his detention and his name on the no-fly list, he had been unable to pay his sons a visit, both of whom had recently been blessed with a boy and girl respectively. “Allah blessed my younger son with a boy while my elder son got blessed with a baby girl after 20 years of marriage. Little girl had to undergo major heart surgery in London within a week of birth. I haven’t seen both of them yet because of my detention and my name being on ECL,” he said in an earlier tweet.